Peanut butter and jam is a classic combination that almost everyone loves. It’s reminiscent of our childhood lunches, or after school snacks! Honestly, I still really love this combo, and if I can make it into a dessert, I am going to as seen here! 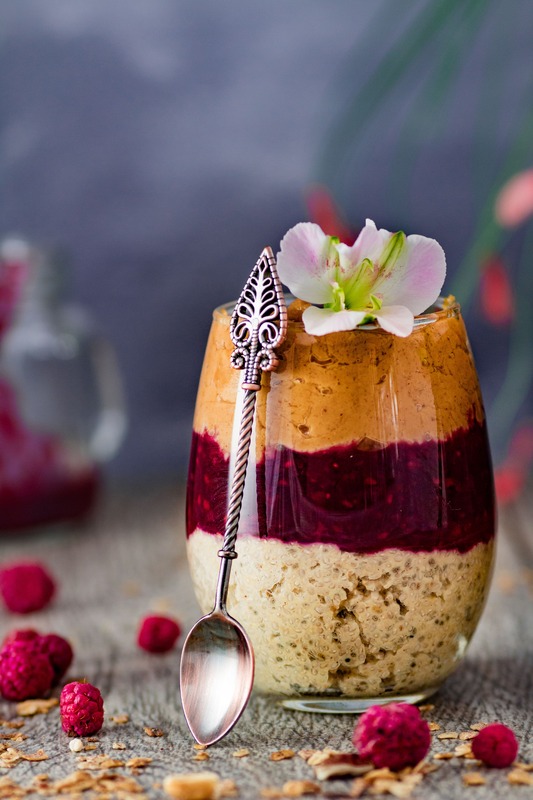 The creaminess of the pudding with the tartness of the “jam” will satisfy your palate! You start off with making the chia pudding. 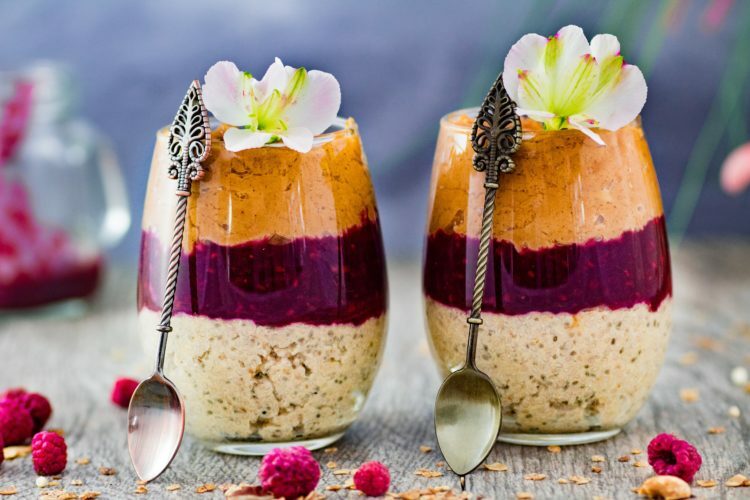 As you can see by the ingredients, I chose to make this chia pudding with a yogurt base, and it is so worth it! It’s so much creamier and satisfying. Have you tried Yoso coconut yogurt yet? Even if you’re not plant based, it’s the most amazing tasting yogurt! Check out their website HERE. I didn’t sweeten the pudding as the other layers make it sweet enough, but feel free to add it if you like your desserts sweeter. 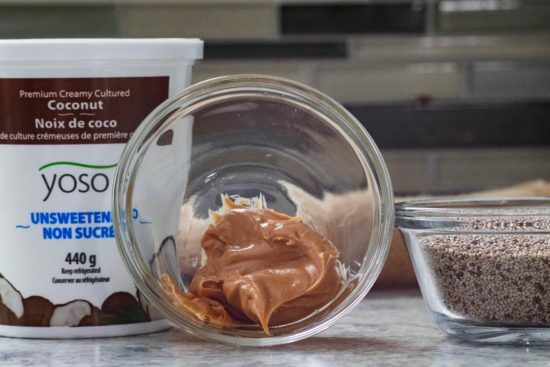 When combining the ingredients for the pudding together, make sure that the peanut butter is completely incorporated before adding the chia seeds. 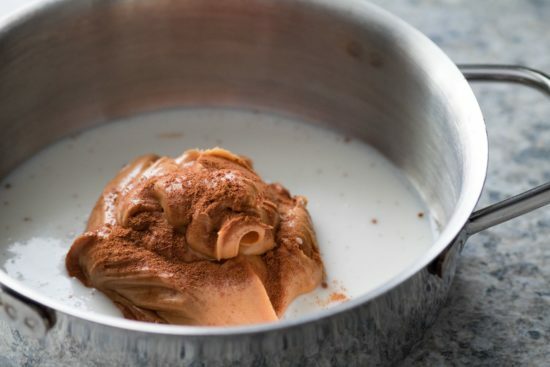 I added cinnamon to all the layers as I love the taste of cinnamon and peanut butter together! Next it’s time to make the berry sauce for the “jam” layer. I did use a bit of organic coconut sugar to sweeten this as the berries I used were quite tart, but feel free to omit it if the berries you use are sweet. 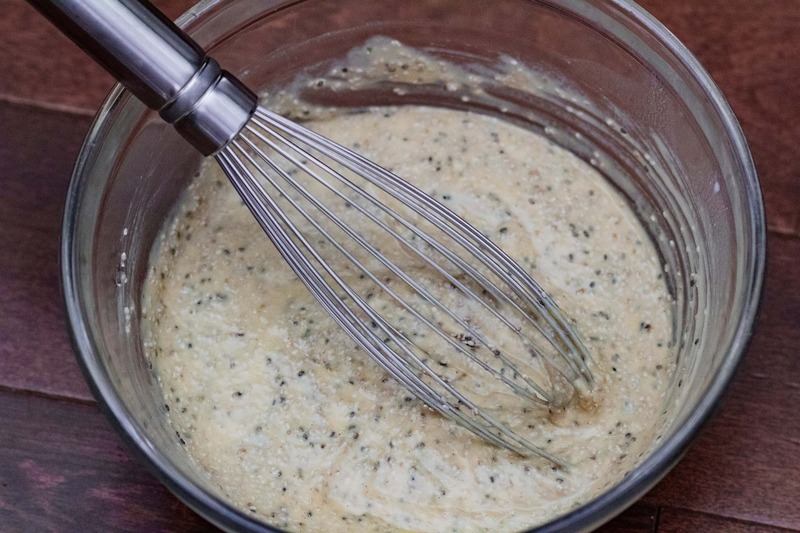 If you desire a thicker sauce, just add a cornstarch slurry, or your preferred thickener. The last step is to make the peanut butter sauce. Yes, I MAY have put too much in the parfait glasses shown, but really, can you have too much peanut butter? It’s super easy to make this sauce and you just have to keep stirring it until it is warm over medium-low heat. I let mine cool before making the parfait, but it is great warm too. 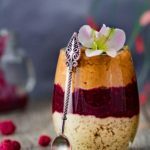 Layer the pudding, berry sauce and the peanut butter sauce into the jars and enjoy immediately or refrigerate for up to two days. Whisk everything together except the chia seeds. Make sure that the peanut butter is completely incorporated. Add chia seeds and refrigerate for 1 hour. Over medium-low heat, bring all the sauce ingredients to a simmer stirring occasionally. Cook for 10 minutes or until soft. Purée until there are no chunks left. If desired, you can strain the seeds out, but it's not necessary. If you want the sauce thicker, add a cornstarch slurry (1 Tblsp Cornstarch + 1 Tblsp Water) and return to heat until thickened. Let cool. 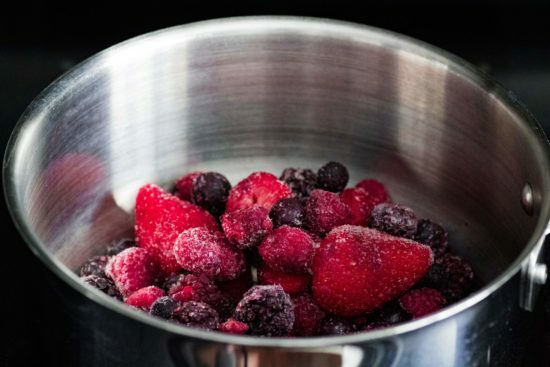 Combine everything in a saucepan, and stir continuously over medium-low heat until warm. Remove from heat as soon as it is warm so it doesn't get too thick. In a jar, layer the chia pudding, berry sauce and the peanut butter sauce. You can either enjoy immediately, or refrigerate for up to 2 days.